The Gairloch hotels listed below are either in the town or we have given a rough guide as to how far they are from Gairloch. We hope you enjoy your stay and find your ideal accommodation from our list of hotels in Gairloch and the surrounding area. Close to a small fishing harbour, The Old Inn has free parking and free Wi-Fi, near the Flowerdale Valley. 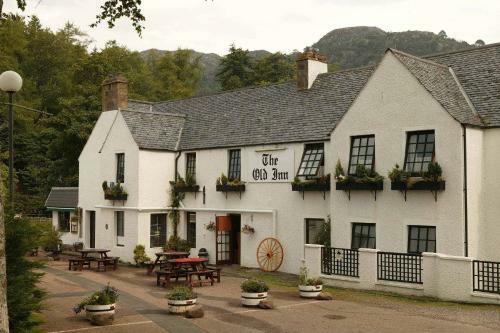 The Old Inn is situated about 1.5 hours' drive from Inverness. Each en suite room at The Old Inn has a TV and tea/coffee facilities. 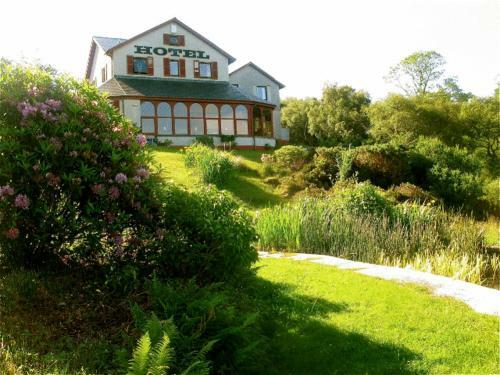 With spectacular mountain views, Gairloch Highland Lodge overlooks the harbour to the Isle of Skye. It is a quiet base with a lounge, bar, free internet access and a drying room. Traditional Highland Coaching Inn, overlooking harbour, Friendly relaxed atmosphere, specialising in local seafood, game and real ales. Comfortable ensuite rooms. 3 Star STB. Taste of Scotland Accredited.